One of the central principals underlying our Sages’ interpretation of Torah is that everything in the text—including the order and arrangement of the verses—is there for a reason. Nothing is accidental. Even the most seemingly-mundane repetitions and reiterations come to teach us something significant. What connection, then, do they draw between the building of the tabernacle and Shabbat observance? The Rabbis point to a number of noteworthy linguistic parallels between God’s creation of the world and our construction of the sanctuary. Most significantly, both narratives end with an emphasis on completion, using the same verb, “to finish/l’chalot.” Thus Genesis 2:1 reads, The heavens and the earth were finished and Exodus 32:9 concludes, Thus was finished all the work of the tabernacle. Most of us find it very difficult to call anything “finished”. It is said that the French painter Pierre Bonnard would disguise himself and sneak into galleries and private homes in order to apply new touches to his own “finished” paintings. So, too, do we struggle to let go of our labors. For every task we finally mange to cross off our list, two new chores arise. No matter how hard we labor, the work is never really done. This is why Shabbat is so vital. In our frantically-paced, restless world, Shabbat is deeply counter-cultural—and potentially, enormously healing. 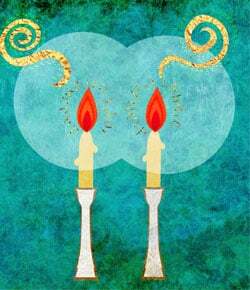 By commanding us to observe Shabbat, our tradition gives us permission to set aside our lists, to stop planning and fixing and accomplishing things and instead take one day each week to simply enjoy the world as it is. The message is: “Don’t just do something—sit there.” In his eloquent and iconoclastic book, I’m God, You’re Not, Rabbi Lawrence Kushner suggests a practice that would serve us well: “Come twilight on Friday afternoon, I make an announcement. ‘All my jobs, tasks, and work, whether they are done or not, I hereby declare are done. I reject their claim on me. I deny their existence.’” This profoundly liberating declaration has the power to deepen our Jewish connections, regain proper perspective, and enrich our lives. Canadian poet and rapper K’naan doesn’t sing about Shabbat, per se, but he captures its spirit and significance beautifully in the song “Take a Minute” from his 2009 album Troubadour. Like much of the record, this anthem tells the story of his boyhood in war-torn Somalia; K’naan shares some hard-earned lessons and urges his listeners to pause and reflect on what is happening around us before we respond. K’naan urges us to take “Shabbat moments”—to step back from the heat of the instant, catch our breath and—rather than reacting—respond thoughtfully. All I know is I'm enjoying today. . . Living in an overwhelmingly non-Jewish wider community, most of us would find it impossible to observe Shabbat in an Orthodox manner. We have soccer schedules, and birthday parties, football games and ski dates. Some of us even have to work our day jobs on Friday nights and Saturdays. Still, all of us can come up with innovative ways to deepen our Shabbat observance and “take a minute to let it breeze.” We might set aside even a small portion of the Shabbat day and turn off our phones and computers, close out our schedules, put away our wallets—and enjoy the beauty of God’s creation, in solitary meditation or in the presence of loving family and/or friends. We can reject the hold that worldly things have on us, and focus on the matters of the heart and spirit that are ultimately far more important and enduring. We can, in short, uncover and create pathways, as liberal Jews, toward restoring Shabbat to its rightful place of primacy in our lives. All I know is, I’m enjoying today. Who knows? This time I might. We’re living in an age of apologies. Hardly a day goes by without some celebrity or politician expressing remorse for some misdeed exposed by the media. But how do we know when their intent is sincere? 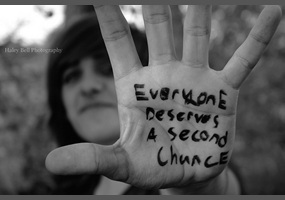 Under what circumstances do we offer them a second chance? And, closer to home, how do we find forgiveness for our own offenses? Jewish tradition has a great deal to say about these matters as it discusses the nature of teshuvah—the steps that we must take to repent of—or more accurately, turn away from—our transgressions. Not surprisingly, our sages disagree over aspects of that path, but, as Rabbi David Blumenthal notes, almost all insist that genuine teshuvah requires five key elements. The first step—recognizing that we have done wrong—is an act of moral intelligence. It demands that we examine our motives and contemplate the consequences of our offences. The second—remorse—is an essential emotional state in which we feel real regret for what we did and desire to make it better. The third step—confession—is the (often public) acknowledgement of our failings. The fourth and fifth steps—restitution and desisting from our bad behavior—are both concrete actions: we do everything in our power to make amends to the offended party and commit ourselves to an ongoing, determined effort to behave significantly better in similar situations now and in the future. When a person sincerely follows this path, Jewish tradition sees them as repentant and worthy of forgiveness—though this does not absolve them from facing the legal and moral consequences of their initial transgression. This week’s Torah portion, Ki Tisa, describes the Israelites’ most grievous sin in the entire Torah: their idolatrous worship around the Golden Calf while Moses is up on Mount Sinai. This deep breach of faith appalls both God and Moses; in its wake, God threatens to utterly destroy the community, and Moses smashes the tablets of the Law. There are other, serious—even dire—consequences. Thousands die by plague and by the sword of the avenging Levites. Yet ultimately both God and Moses forgive the people and offer them a second chance. Moses goes back up the mountain and returns forty days later with a new set of tablets. The text doesn’t describe the details of the Israelites’ path to teshuvah, but we can assume that they acknowledge their failures, do their best to make amends, and learn from their mistakes. Our tradition (Talmud Bava Batra 14b) also notes that the broken tablets were kept in the ark together with the intact second set. Brokenness and wholeness coexist together in our most sacred space—the heart of the holy ark. They remind us of both our failure and our commitment to growing from it. Forgiveness is a complicated matter, but none of us would really want to live in a world without second chances. We all need that chance to make a new start. As the primary work of Jewish mysticism, the Zohar notes: Without teshuvah, the world would not be able to exist, for in its absence, no one could grow, adapt, create or heal. The broken tablets sit, side by side, with the whole ones.